Albert Kelly, the former chairman of SpiritBank, is now a senior adviser to Pruitt and has been appointed to lead a task force on streamlining EPA's Superfund program, according to a memo sent to agency officials this week (Greenwire, May 23). Kelly, known by his nickname of Kell, spent roughly 33 years at the Bristow, Okla., bank. It was founded in 1916 as American National Bank. The Kelly family bought into the bank by the 1930s, and it has since grown into a major financial institution in the state. Kelly has been part of that rise in prominence and is considered an influential player in the Oklahoma banking community. Roger Beverage, president and CEO of the Oklahoma Bankers Association, said he has been friends with Kelly for at least 15 years, calling him "a natural-born leader" and "a great advocate." "I love Kell Kelly. I would run through a wall for him," Beverage told E&E News. "Kell is a bulldog. He gets his teeth on something, and he doesn't let go." Beverage also said Kelly is considered close to the EPA chief. "They are good friends and have been for a long time," Beverage said. Before he was chairman, Kelly was vice president and then president and CEO of SpiritBank. Prior to joining the bank, he served as an assistant district attorney in Oklahoma's Creek and Okfuskee counties and was a partner in the law firm McMillan, Vassar & Kelly. Kelly earned his bachelor's and law degrees from the University of Oklahoma. Kelly is familiar with the political scene in both Oklahoma and Washington. He lists "political activity" among the "core competencies" on his resume, which was obtained by The Intercept under the Freedom of Information Act. A former chairman of Beverage's group, Kelly also served on the board of directors for the American Bankers Association. He also has had a stint as ABA's chairman and has testified at hearings in both the House and the Senate on financial regulations, including the creation of the Consumer Financial Protection Bureau. Despite Kelly's expertise in finance, his career hasn't touched on environmental policy, let alone grappling with Superfund, one of EPA's most complex programs. That has worried Superfund supporters. "He's just another Wall Street guy. I'm sure he's a fine fellow, but this is not where we want him," said Lois Gibbs, founder of the Center for Health, Environment & Justice. Gibbs had a major role in the creation of EPA's Superfund program when in 1978 she helped uncover toxic waste in her neighborhood, Love Canal, in Niagara Falls, N.Y.
She questioned whether Kelly has the experience to transform the cleanup program, where toxic sites have lingered for years waiting for federal action. Superfund's budget would also be cut by more than $300 million under President Trump's proposal for the next fiscal year (Greenwire, May 23). "To bring in someone who is absolutely clueless about the agency and the million moving parts of this program, it's really frightening," Gibbs said. "If you don't know anything about the program, how are you supposed to guide it?" Mathy Stanislaus, who led EPA's Office of Land and Emergency Management during the Obama administration, said he was worried that Kelly will focus on bargain cleanups of sites rather than ensuring those sites are completely free of waste. "Given the lack of background of the person designated by the administrator in environmental or public health policy, I fear this effort will focus exclusively on reducing the obligations of parties responsible for contaminating the Superfund sites by simply requiring the cheapest cleanup that leaves ongoing exposure," said Stanislaus, who oversaw Superfund when he was at the agency. Stanislaus added cleanups on the cheap would compromise public health and inhibit economic recovery. An EPA spokeswoman said Kelly has strong managerial skills and will also be working with EPA experts in the waste program. "Albert Kelly brings a strong management component to the Superfund task force and will be working closely with the professionals in the Superfund initiative to make the administrator's vision a success," the agency spokeswoman said. Beverage said he has never discussed Superfund with Kelly. "I wouldn't know one [Superfund site] if it jumped up and bit me in the backside," he said. But Beverage called Kelly a "visionary" who brings unique skills that are lacking at EPA. "There are people in the Beltway who don't get out and have a clue on how things work out here," Beverage said. "He has a mastery of how things work in the real world and how to balance what interests EPA has against what impacts it has on a business." Kelly's hire at EPA is also a reminder of Pruitt's close ties to the Oklahoma financial industry. As Oklahoma attorney general, Pruitt was a staunch defender of his state's banks, including joining litigation against the Dodd-Frank Act. "Our state's attorney general is a 'keeper' and a great friend to Oklahoma banks!" said one item discussing a Pruitt fundraiser in the Oklahoma Bankers Association's newsletter. Kelly's bank also played a key role in Pruitt's earlier life when the EPA chief bought and sold a minor league baseball team in Oklahoma City. According to public records, SpiritBank lent money to the partnership that bought what was then called the Oklahoma City RedHawks for $6.8 million in 2003. Pruitt owned 25 percent of the club and was the general managing partner. The partnership pledged contract rights and proceeds as collateral. 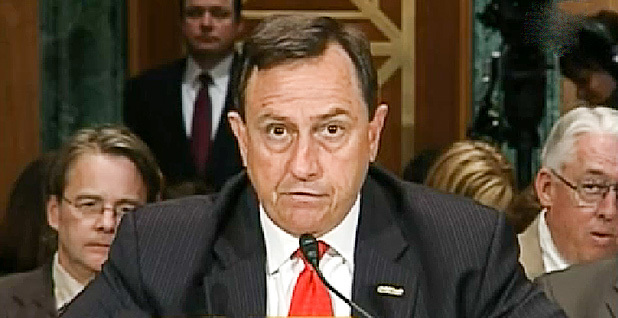 Pruitt also served in the state Senate at the time of the purchase. SpiritBank then provided "acquisition financing" when Pruitt and his partners sold the team in 2010 for an undisclosed amount, according to a team press release. Kelly has also been a major political donor. He has contributed more than $200,000 over the years to federal and state campaigns, usually to Republican candidates. Kelly contributed $2,000 to the Trump campaign in September 2016. But earlier, in 2015, he contributed to the presidential campaign and super political action committee of former Republican Florida Gov. Jeb Bush. Kelly contributed at least $2,750 to Pruitt since he launched his first campaign for attorney general in 2010. He also contributed $1,750 in 2015 to Pruitt's leadership PAC, Oklahoma Strong. SpiritBank's PAC contributed $1,000 to Pruitt when he first ran for attorney general. Other employees contributed $3,750 to Pruitt in state races. The Oklahoma Bankers Association PAC contributed $7,000 to Pruitt in Oklahoma. Kelly joins other friends of Pruitt and Oklahoma political operatives in working at EPA, including Kenneth Wagner, a former legal associate and PAC treasurer of the administrator's (Greenwire, April 13). Noting Kelly and Wagner coming to EPA, Beverage said, "I will be anxious to see how they both play out." "I know he and Scott Pruitt are good friends," Beverage said. "I think Kell wanted a new challenge. He has got one for sure."